Nachos - Track movies & TV shows you're watching. Track movies & TV shows you're watching. Meet Nachos, the must-have app for every TV lover. 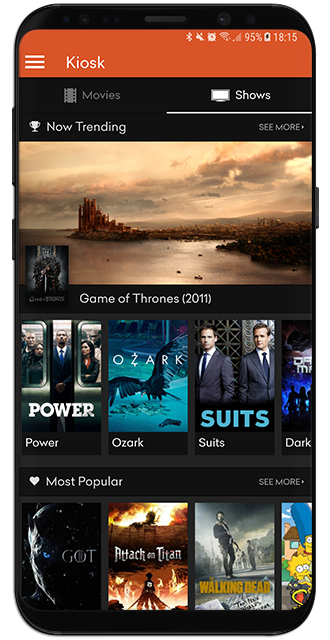 Access information on thousands of movies and TV shows. Ratings, trailer, cast and crew, genres and much more. Connect with Trakt.tv and unlock all features including easy check in, your watchlist, history, progress, up next to watch, collection, calendar and personal recommendations. Get the Nachos app now!